Materials science and nanotechnology students at the University of Alberta have recently joined more than 70 universities across the world in becoming members of the internationally known Materials Research Society (MRS). The newly established MRS chapter at the U of A is the first in Canada and will set an example for other universities in the country to follow, according to its founding member. Rokib Hassan, PhD student and president of the U of A MRS chapter, said it’s becoming increasingly important for students to get involved with these global organizations, as they help foster a sense of leadership in their fields. “What happens is the (students can) boost their research and commit to working with the materials research or nanotechnology communities,” he said. The idea to establish a chapter at the U of A came to Hassan when he travelled to Cancun for an MRS conference and saw the types of schools that were represented — some of the largest, most prestigious American universities had established chapters, he said, but no Canadian schools. Hassan said when he began the process of founding the U of A chapter, he received positive responses from the community, quickly gathering interested undergraduate students, graduate students and faculty members in a matter of weeks. Going forward, the new chapter aims to host its own symposium next year, and eventually create undergraduate funding and a summer research program. Hassan said the chapter, like the ever-changing fields of nanotechnology and materials science, is looking to build the future. Researchers from the National Institute of Standards and Technology (NIST) have joined with an international team to engineer and measure a potentially important new class of nanostructured materials for microwave and advanced communication devices. Not a brick wall. Electron microscope image of a cross section of the newly characterized tunable microwave dielectric clearly shows the thick layers of strontium titanate “bricks” separated by thin “mortar lines” of strontium oxide that help promote the largely defect-free growth of the bricks. The new multilayer crystals are so-called “tunable dielectrics,” the heart of electronic devices that, for example, enable cell phones to tune to a precise frequency, picking a unique signal out of the welter of possible ones. Tunable dielectrics that work well in the microwave range and beyond—modern communications applications typically use frequencies around a few gigahertz—have been hard to make, according to NIST materials scientist Nathan Orloff. “People have created tunable microwave dielectrics for decades, but they’ve always used up way too much power.” These new materials work well up to 100 GHz, opening the door for the next generation of devices for advanced communications. One key discovery by the research team was that, in addition to adding strain to the crystal sandwich, adding additional layers of strontium titanate in between the strontium oxide layers increased the room-temperature “tunability” performance of the structure, providing a new mechanism to control the material response. The material they reported on recently in the journal Nature has six layers of strontium titanate between each strontium oxide layer. An international team of researchers contributed to the recent paper, representing, in addition to NIST, Cornell University, the University of Maryland, Pennsylvania State University, the Institute of Physics ASCR (Czech Republic), Universitat Politècnica de Catalunya (Spain), the Kavli Institute at Cornell for Nanoscale Science, Oak Ridge National Laboratory, the Leibniz Institute for Crystal Growth (Germany), The University of Texas at Austin and Temple University. For additional perspective, see the Cornell University news story, “Tunable antenna could end dropped cell phone calls” at www.news.cornell.edu/stories/2013/10/tunable-antenna-could-end-dropped-cell-phone-calls. For more on the MGI at NIST, see www.nist.gov/mgi/index.cfm. (Nanowerk Spotlight) Freshwater looks like it will become the oil of the 21st century – scarce, expensive and fought over. While over 70 per cent of the Earth’s surface is covered by water, most of it is unusable for human consumption. According to the Government of Canada’s Environment Department (take a look at their Freshwater Website – a great resource for facts and all kinds of aspects about water), freshwater lakes, rivers and underground aquifers represent only 2.5 per cent of the world’s total freshwater supply. Unfortunately, in addition to being scarce, freshwater is also very unevenly distributed. The United Nations has compared water consumption with its availability and has predicted that by the middle of this century between 2 billion and 7 billion people will be faced with water scarcity. It gets worse: In the developing countries, 80 per cent of illnesses are water-related. Due to the shortage of safe drinking water in much of the world, there are 3.3 million deaths every year from diarrheal diseases caused by E. coli, salmonella and cholera bacterial infections, and from parasites and viral pathogens. In fact, between 1990 and 2000, more children died of diarrhea than all the people killed in armed conflicts since the Second World War. The use of nanotechnologies in four key water industry segments – monitoring, desalinization, purification and wastewater treatment – could play a large role in averting the coming water crisis. But hoping that the ‘magic’ of nanotechnology will solve all water problems is naive – the basic problems of accessibility to technologies, affordability, and fair distribution still need to be solved. Unlike with so many other issues that seem to concern only Third World countries, people in the developed world can’t afford to sit back and take a hands-off approach to this problem. The impact of water shortage goes far beyond widespread diseases in the developing world. In the past 15 years, global water consumption has risen at more than double the rate of population growth, due in part to industrial demand. For example, it takes 300 liters of water to produce 1 kilogram of paper, and 215,000 liters to produce 1 metric ton of steel. Changes in our diet are also driving water consumption; it takes 15,000 tons of water to produce a ton of beef, while it only requires 1,000 tons of water for a ton of grain (these numbers are from the Canadian Freshwater website, mentioned above). So nanotechnologies, or technology in general, should not be seen as a cure all: a lot of problems arise from the way we chose to live (in the rich countries, where we have a choice) and the preferences we set as politicians, producers and consumers. It is also important to note that many conventional technologies already exist that effectively remove bacteria, viruses, coliforms, and other contaminants from water; water desalination is a proven technology; and wastewater treatment plants do exist. Some of these solutions are expensive; some are affordable and can be produced locally. With enough political will, a lot of funding, and smart and sustained logistical efforts all these technologies could be made available where needed. Saudia Arabia, for instance, produces 70 per cent of its drinking water from desalination plants (no nanotechnology involved). However, one industrial-scale plant costs roughly one billion dollars and one cubic meter of water costs a bit over $1 to produce. As for water purification, a review of the literature suggests that several technical challenges remain with regards to the cost and effectiveness of removal of certain contaminants in a manner that meets the needs of people in developing countries. That’s where nanotechnology comes in because it could increase the effectiveness of existing water treatment solutions and, so claim the proponents, be made available at a much lower cost. 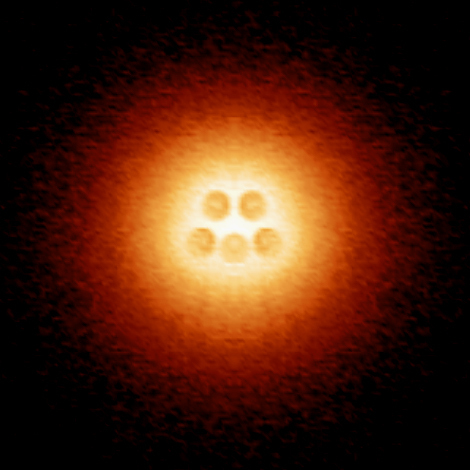 It is misleading, though, to suggest that nanotechnologies will magically change this picture anytime soon. Almost all proponents of nanotechnology-based water treatment technologies claim that nanotech will make it more affordable. That may be the case some time in the future. You need to make a big leap of faith to buy this argument today. Firstly, most nanotechnology-based applications are still in the lab or have barely made it to the fab. None of them has been scaled up to industrial levels yet – a major prerequisite to bring prices down – and by looking around at what nanotech products are commercially available it appears that some even claim a price premium. Not a single product out there advertises to be cheaper because it is nanotechnology-enabled. Let’s also be clear that all nanotechnology applications proposed for water applications today are evolutionary, i.e. they will offer some improvements over existing devices and applications, not a revolutionary new way of doing things. In case you only vaguely remember your Economics 101 class, here is how profit-oriented companies operate – they will introduce new materials or technologies in their products or production processes for basically one of two reasons: 1) the new technology allows the company to offer an improved product which could be sold at a higher price (which could, but doesn’t have to, result in a higher margin, depending to what degree production costs rise) and/or gives it a performance advantage over the competition; 2) the new technology allows the company to reduce its production costs (sometimes even while improving product quality and features at the same time), in which case it could offer the product at the same price and achieve a higher margin, or, if competition is tough, reduce its price. Reason one clearly is not an option for improving water quality around the globe because it would make things even more expensive than they are today. That leaves reason two: companies need an economic incentive to introduce nanotechnology in their applications. As with all other areas (especially in energy) this industrial scale-up needs to happen for more effective nanotechnology-enabled products, that could help solve real problems, to hit the market en masse (and not just make your car’s paint more scratch resistant or you golf ball fly straighter). A very good example of how tricky the introduction of new technologies is, just look at your own personal behavior. You can buy nanotechnology-based water filters for your home today, for instance Brita filters which you just screw onto your kitchen tap. That gives you perfectly good, safe and fine-tasting drinking water. Chances are, though, that your fridge is stocked with bottled water; an alternative that, although you couldn’t taste the difference to filtered tap water, is more expensive and ecologically damaging. Could it be that you are influenced by the ubiquitous ads for the oh-so-healthy products of the bottled water industry? If you bought Brita and other companies’ filters you would support companies like Argonide that push nanotechnology in their products. If you buy bottled water you support companies like Coca Cola. Brita, Argonide et. al. can’t afford the huge advertising budgets of the food giants but an informed consumer shouldn’t be misled by advertising anyway (nice theory…). Let’s just say we agree that water filters are a better choice than plastic bottles. What then will it take for a consumer society to change its behavior and switch to the beneficial technology? Which in turn would bring the price of this technology down and help spread its reach. In conclusion, there are three points to make. The first is that conventional technology and political will today could solve a lot, if not all, of the water problems the world is facing. At considerable cost. The second is that nanotechnologies, in theory, could make it easier to solve these problems if the hurdle of commercialization can be overcome; because as long as nanotechnology-enabled products are more expensive than their non-nanotech alternatives, we’ll face the some problems that we already are having today. And lastly, no matter how promising a new technology is, if entrenched economic interests have different goals, it is hard to reap the benefits of the new. ChipCare Corp., a spin-off company from University of Toronto in Canada developing hand-held diagnostics devices to replace fixed expensive lab equipment, secured $2.05 million in early stage angel financing. The deal combines investments from university, private-sector, and Canadian government sources, according to an announcement by Grand Challenges Canada, a government-financed organization supporting medical innovations in Canada and the third world. The company’s first product is a hand-held blood testing device built with microfluidics or lab-on-a-chip technology. 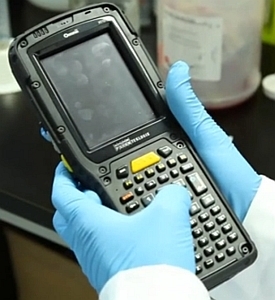 The device, resembling a supermarket bar code scanner, needs only a tiny blood sample, but can test the sample for HIV in a few minutes. Most HIV tests today require analysis by a flow cytometer, an expensive electronic lab device that performs a variety of medical diagnostics. Research for the cell analyzer, as the device is called by ChipCare, was conducted in the University of Toronto engineering lab of Stewart Aitchison that investigates optical signal processing for applications in biomedical and physical sciences. Among the lab’s specialties is integrated biosensors for lab-on-chip applications. The cell analyzer is the work of James Dou, a graduate student in Aitchison’s lab, and the co-founder of ChipCare with Lu Chen, a postdoctoral researcher in the lab. Dou envisioned the cell analyzer in his master’s thesis at University of Toronto and since 2006 has been leading the project to commercialize the technology. Dou received a Heffernan Fellowship from the university to commercialize the research and was awarded with Aitchison one of the university’s 2012 inventors of the year for their work with the device. He serves as ChipCare’s chief technologist, while Chen is the company’s product development director. Grand Challenges Canada is leading the financial round, with contributions from Maple Leaf Angels, MaRS Innovation, and University of Toronto. Maple Leaf Angels is a group of high net worth private individuals who invest in seed and early stage technology companies. MaRS Innovation is a consortium of 15 Canadian universities, teaching hospitals, and research institutes that collaborate on commercializing research findings. Specific contributions from these sources were not disclosed. The proceeds of the round are expected to support the next three years of the device’s development including refinement of its functionality, a more robust prototype, and a reduction in its cost as it moves closer to commercial scale. While the device is first expected to analyze blood samples for HIV, ChipCare plans to expand its diagnostic functions to cover other diseases, such as tuberculosis and malaria. This feature news is part of Singapore International Water Week’s (SIWW) series of one-on-one interviews with global water industry leaders, Conversations with Water Leaders. In this edition, HE Dr Abdulrahman M Al-Ibrahim, Governor of Saline Water Conversion Corporation (SWCC), Kingdom of Saudi Arabia, shares with OOSKAnews correspondent, Renee Martin-Nagle, his thoughts on renewable energy for desalination and the provision of water for all. HE Dr Abdulrahman M Al-Ibrahim elaborates on how he combined desalination with renewable energy, SWCC’s strive towards operational excellence, environmental responsibility and more. To start, would you mind speaking about the focus that is being placed by Saudi Arabia on solar energy for desalination? Certainly. Recently the SWCC board of directors adopted a series of strategic goals, one of which is operational excellence. Part of that operational excellence is to enrich our portfolio of energies, including renewable energies like solar, photovoltaic, thermal, wind, geothermal, and other renewable energies. In the recent past we initiated construction of the first solar desalination plant in Al-Khafji that will produce 30,000 cubic meters per day of desalinated water and is operated by photovoltaic cells with an RO [reverse osmosis] desalination system. The King Abdulaziz City for Science and Technology (KACST) was the leader of this program, and we partnered with KACST to build, manage and maintain the plant throughout its life. We are investigating a more rigorous program to produce around 300,000 cubic metres per day with renewable energies. So, to summarize, renewable energy is not a luxury for us. It is part of our strategy, and it is a means to enrich our portfolio of energy so that we will have the right mix for our operation. My understanding is that the energy output of solar may not be adequate for some of the older desal technologies such as multi-stage flash. Is that why you are using it for reverse osmosis? 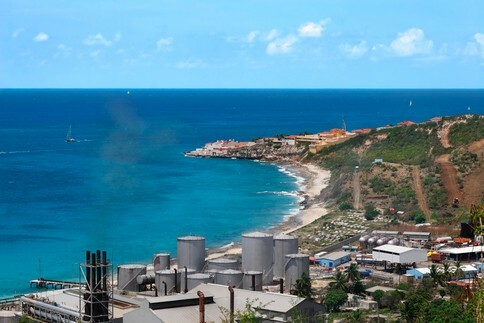 I’m sure if we want to couple renewable energy with desalination, we will have to look at different technologies and pick the ones that are the best match, which could be Multi-Effect Distillation (MED), RO hybrid or Tri-hybrid. To start with, we selected RO for the Al-Khafji plant because as a rule of thumb, RO requires the least energy, but on the west coast we are investigating other technologies, such as Tri-hybrid. It’s partially an MED as well as an RO plant with Nano-Filtration (NF) and other means. We are devoting R&D to finding the right technologies to adapt to the renewable energies available locally. All the projects I am currently overseeing are my favorite, but I’ll tell you about my dream. My dream is to have a highly reliable and very efficient desalination plant that becomes a model not just for our kingdom, Saudi Arabia, but a model worldwide. Saudi Arabia has the most installed capacity for desalination in the world. As you do research and gather technologies, does the Kingdom intend to become an exporter of technology as well as an importer? Yes, we do. For the past 30 or 40 years, the ultimate goal of SWCC was to produce desalinated water to meet the needs of the Kingdom. Now we want to go beyond that goal and export know-how regionally as well as internationally. Our roadmap is to be able to develop know-how, intellectual property, prototypes and patents locally. In the past three or four years, we have come to own some patents, and we want to double that number in the next couple of years. Would you give me an example of the latest technologies that you are exploring? Sure. SWCC, together with the Water Re-use Promotion Center of Japan and Sasakura Company, conducted a joint research study to develop a fully integrated NF/SWRO/MED tri-hybrid system. This desalination system enabled us to reduce significantly the water production cost per unit, which we see as a break-through. Subsequently, a number of patents have been registered in Saudi Arabia, Japan and China. How did you personally get involved in desalination? I’m a graduate of the mechanical engineering program in Jeddah, in the area of thermal science, and at that time, we were required to study two courses in desalination and do two internships in industrial facilities. My second internship was in a small Multi-Stage Flash (MSF) plant in Jeddah, and, after doing a research project, it became my dream to combine desal with renewable energy. Luckily, in around 1986, I also worked with a very small solar desalination plant in Yanbu that used a technology called thermal freezing, where you freeze the seawater using an absorption system to reach almost zero degrees and then recover fresh water from the system. I went on to get a Master’s degree and a PhD in thermal engineering and renewable energies, and moved my expertise to energy efficiency. After 20 or 30 years, combining desal and renewable energy is becoming a reality instead of a pilot. 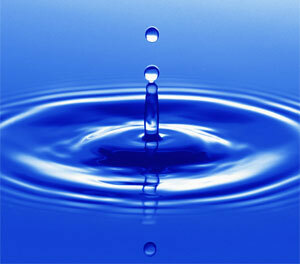 What changes have you seen in the past 20-25 years since you first got involved with desal? Almost two months ago we launched a new plant in Jeddah called Jeddah RO-3 that operates on reverse osmosis. This plant was built on a site where a thermal plant was in operation since the late 70s and produced 40,000 cubic metres. We demolished the old plant and built a new one on the same footprint that now produces 240,000 cubic metres. So in a 25- or 30-year span we were able to increase production by six times over. The second thing is our local expertise here in Saudi Arabia. In the past, we had to hire multiple international companies to be able to operate our plants and produce the water. In those days, you would seldom find a Saudi person operating or maintaining the plant. Now, Saudi locals perform 91 per cent of all our operations as engineers, technicians and managers who understand the technologies and who are able to diagnose and fix problems. We admire and respect all international expertise and we utilize it to the best that we can. At the same time, we feel that we are ready now to stretch our arms to regional and international markets and spread our expertise in terms of technologies, IP and manufacturing facilities. The Kingdom of Saudi Arabia has invested in desal, and we hope that it will add value to our GDP. What will be the criteria for choosing desal technologies in the future? Two factors will be the criteria for selecting technology — energy consumption and reliability. Membrane technology will be able to attain energy efficiency very well. However, we need to be able to assist it with more devices to make it more reliable. If the price of energy is important in your area, then you need to give it more weight. If reliability is more of an issue, then you give it more weight. As much as we care about producing water, we also care about the environment, for multiple reasons. The primary factor is that we live in and share the same area, so we need to protect the environment next to us. Secondly, our intake is affected by its surrounding area, and therefore we should not spoil the water next to the plant itself. What is the problem with membrane reliability? Membrane technology is very sensitive to the quality of water it receives. For example, if there is red tide, or an algae bloom, or any other material in the seawater, such as a high Silt Density Index (SDI), you would need to shut down the plant to preserve your membrane, or augment your plant with pre-treatment facilities to clean the water before you introduce it to the membrane. On the other hand, although thermal is very expensive and utilizes maybe two or three times as much energy as membrane technology, it may tolerate any water. Also, to be able to build membrane technology, you need to have a pilot plant for a year or two at the same location and study the water carefully to select the most appropriate pre-treatment process. SWCC uses seawater for its operations. What you do with the brine that is left over? As much as we care about producing water, we also care about the environment, for multiple reasons. The primary factor is that we live in and share the same area, so we need to protect the environment next to us. Secondly, our intake is affected by its surrounding area, and therefore we should not spoil the water next to the plant itself. We perform multiple procedures so as not to intervene with the eco-system next to the plant. We do this at SWCC and in any saline water industrial facility. For example, one standard procedure is to withdraw up to ten times the amount of water that you intend to desalinate, and discharge the extra with the brine to reduce the effect of high temperature or high salinity. We also measure the temperature of the intake and the discharged brine to make sure we protect the ecosystem next to the plant. The newly commissioned plant in Jeddah – the Jeddah RO-3 – was built with multiple advanced measures to protect the environment –not only water intake and the brine but also energy efficiency within the building. We reduced the energy consumption through the cooling grade and the lighting system, and we are applying to multiple professional organizations to receive certificates of energy efficiency in the new building as well as in the plant. There is a desalination plant that is constructed on a floating platform in Yanbu. Would you describe it? It’s one of the unique features that we have in Saudi Arabia. We have two barges, each one able to produce 25,000 cubic metres per day, that move on the west coast from Yanbu to Shuaibah to Shuqaiq or anywhere else to augment the production of a desal plant. So we move the barge from one location to the other according to the needs that may occur. The barges are stand-alone, with their own power supplied by liquid fuel. I always hesitate to ask a parent which of his children is the favorite, but would you tell me if there are any projects that are your favorite? All the projects I am currently overseeing are my favorite, but I’ll tell you about my dream. My dream is to have a highly reliable and very efficient desalination plant that becomes a model not just for our kingdom, Saudi Arabia, but a model worldwide. I want it to become a benchmark. What final message would you like to leave with our readers? The people of Saudi Arabia and the employees of the Saline Water Conversion Corporation are eager to produce water to serve the needs of anyone who lives on the planet earth. And we’re extremely happy to share our technologies and information with anyone who shares the same interest values. We believe, as the people of Saudi Arabia, that water is a commodity that should be made available to anyone who lives on the planet, regardless of his faith, regardless of his type, whether he’s human or animal or anyone else. The commercial aspect is an instrument to enable us to provide water that is necessary for life on earth. I totally believe that water is a value-related issue. It’s not a luxury item that needs to be looked at from a commercial business point of view. It’s something that has to be made available for everyone, so that anyone who lives on earth will have adequate quantity and quality of water. From solar cells to optoelectronic sensors to lasers and imaging devices, many of today’s semiconductor technologies hinge upon the absorption of light. Absorption is especially critical for nano-sized structures at the interface between two energy barriers called quantum wells, in which the movement of charge carriers is confined to two-dimensions. Now, for the first time, a simple law of light absorption for 2D semiconductors has been demonstrated. Working with ultrathin membranes of the semiconductor indium arsenide, a team of researchers with the U.S. Department of Energy (DOE)’s Lawrence Berkeley National Laboratory (Berkeley Lab) has discovered a quantum unit of photon absorption, which they have dubbed “AQ,” that should be general to all 2D semiconductors, including compound semiconductors of the III-V family that are favored for solar films and optoelectronic devices. This discovery not only provides new insight into the optical properties of 2D semiconductors and quantum wells, it should also open doors to exotic new optoelectronic and photonic technologies. Javey is one of two corresponding authors of a paper describing this research in the Proceedings of the National Academy of Sciences (PNAS). The paper is titled “Quantum of optical absorption in two-dimensional semiconductors.” Eli Yablonovitch, an electrical engineer who also holds joint appointments with Berkeley Lab and UC Berkeley, is the other corresponding author. Co-authors are Hui Fang, Hans Bechtel, Elena Plis, Michael Martin and Sanjay Krishna. Previous work has shown that graphene, a two-dimensional sheet of carbon, has a universal value of light absorption. Javey, Yablonovitch and their colleagues have now found that a similar generalized law applies to all 2D semiconductors. This discovery was made possible by a unique process that Javey and his research group developed in which thin films of indium arsenide are transferred onto an optically transparent substrate, in this case calcium fluoride. Using the Fourier transform infrared spectroscopy (FTIR) capabilities of Beamline 1.4.3 at Berkeley Lab’s Advanced Light Source, a DOE national user facility, Javey, Yablonovitch and their co-authors measured the magnitude of light absorptance in the transition from one electronic band to the next at room temperature. They observed a discrete stepwise increase at each transition from indium arsenide membranes with an AQ value of approximately 1.7-percent per step. This research was supported by DOE’s Office of Science and the National Science Foundation. Lawrence Berkeley National Laboratory addresses the world’s most urgent scientific challenges by advancing sustainable energy, protecting human health, creating new materials, and revealing the origin and fate of the universe. Founded in 1931, Berkeley Lab’s scientific expertise has been recognized with 13 Nobel prizes. The University of California manages Berkeley Lab for the U.S. Department of Energy’s Office of Science. For more information, visit http://www.lbl.gov. The DOE Office of Science is the single largest supporter of basic research in the physical sciences in the United States and is working to address some of the most pressing challenges of our time. For more information, visit science.energy.gov. The Advanced Light Source is a third-generation synchrotron light source producing light in the x-ray region of the spectrum that is a billion times brighter than the sun. A DOE national user facility, the ALS attracts scientists from around the world and supports its users in doing outstanding science in a safe environment. The Advanced Light Source is a third-generation synchrotron light source producing light in the x-ray region of the spectrum that is a billion times brighter than the sun. A DOE national user facility, the ALS attracts scientists from around the world and supports its users in doing outstanding science in a safe environment. For more information, visit http://www.als.lbl.gov/. The 2010 Deepwater Horizon may be forgotten to many, but remnants of its destruction still remain in the Gulf of Mexico. Mercifully, it appears that researchers at Texas A&M University “have developed a non-toxic sequestering agent–iron oxide nanoparticles coated in a polymer mesh that can hold up to 10 times their weight in crude oil.” In layman’s terms, they’ve engineered a material that can safely soak up oil. As the story goes, the nanoparticles “consist of an iron oxide core surrounded by a shell of polymeric material,” with the goal being to soak up leftover oil that isn’t captured using conventional mechanical means. The next step? Creating an enhanced version that’s biodegradable; as it stands, the existing particles could pose a threat if not collected once they’ve accomplished their duties. Well-defined, magnetic shell cross-linked knedel-like nanoparticles (MSCKs) with hydrodynamic diameters ca. 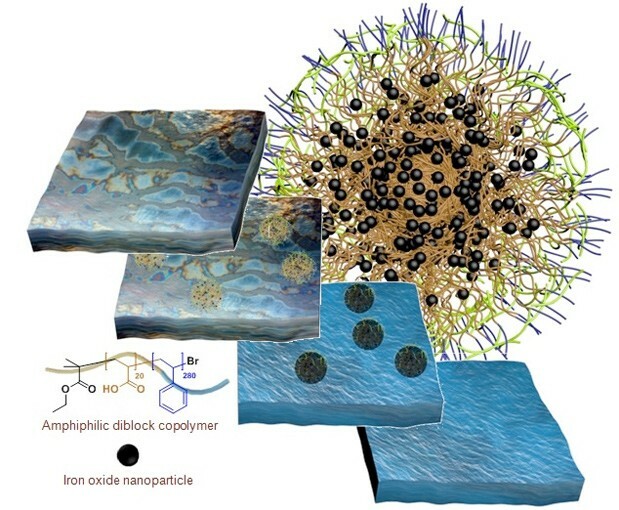 70 nm were constructed through the co-assembly of amphiphilic block copolymers of PAA20–b-PS280 and oleic acid-stabilized magnetic iron oxide nanoparticles using tetrahydrofuran, N,N-dimethylformamide, and water, ultimately transitioning to a fully aqueous system. These hybrid nanomaterials were designed for application as sequestering agents for hydrocarbons present in crude oil, based upon their combination of amphiphilic organic domains, for aqueous solution dispersibility and capture of hydrophobic guest molecules, with inorganic core particles for magnetic responsivity. The employment of these MSCKs in a contaminated aqueous environment resulted in the successful removal of the hydrophobic contaminants at a ratio of 10 mg of oil per 1 mg of MSCK. Once loaded, the crude oil-sorbed nanoparticles were easily isolated via the introduction of an external magnetic field. The recovery and reusability of these MSCKs were also investigated. These results suggest that deployment of hybrid nanocomposites, such as these, could aid in environmental remediation efforts, including at oil spill sites, in particular, following the bulk recovery phase. (Nanowerk Spotlight) Colloidal quantum dot (CQD) nanocrystals are attractive materials for optoelectronics, sensing devices and third generation photovoltaics, due to their low cost, tunable bandgap – i.e. their optical absorption can be controlled by changing the size of the CQD nanocrystal – and solution processability. This makes them attractive candidate materials for cheap and scalable roll-to-roll printable device fabrication technologies. One key impediment that currently prevents CQDs from fulfilling their tremendous promise is that all reports of high efficiency devices were from CQDs synthesized using manual batch synthesis methods (in classical reaction flasks). London, July 30 (ANI): Researchers have made a breakthrough in the development of colloidal quantum dot (CQD) films, leading to the most efficient CQD solar cell ever. Researchers from the University of Toronto (U of T) and King Abdullah University of Science and Technology (KAUST) created a solar cell out of inexpensive materials that was certified at a world-record 7.0 percent efficiency. “Previously, quantum dot solar cells have been limited by the large internal surface areas of the nanoparticles in the film, which made extracting electricity difficult,” said Dr. Susanna Thon, a lead co-author of the paper.